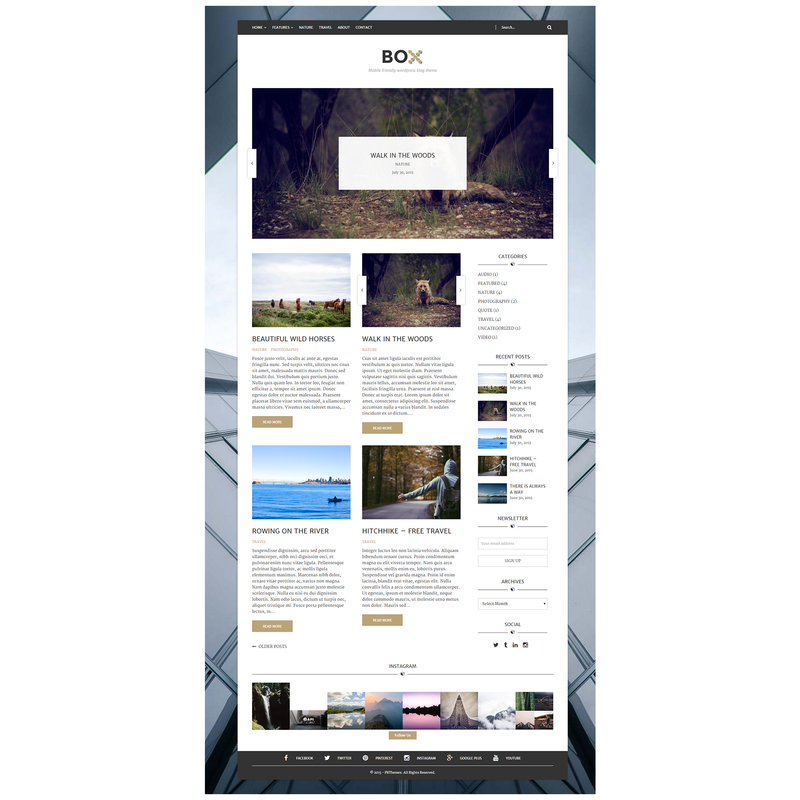 Box is a WordPress Blogging theme. It is clean, modern and responsive. It has a lot of options, they can be changed with WordPress Customizer. 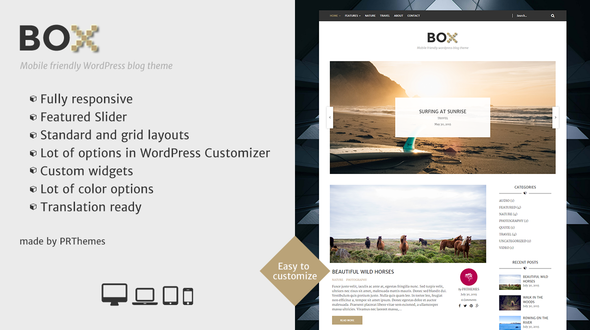 This theme is made for bloggers who loves to write about their adventures.